The last “Granny Woman” of our family, my ‘Mamaw’ served as a wealth of knowledge for most everything we encountered in our West Virginia community, and in the springtime, folks from all over the holler would seek her advice regarding when to plant their gardens. She was a firm believer in “planting by the signs”. Described as devilish by some and extolled by others; I never truly understood what any of it meant until long after she was gone, but as I age, I find myself becoming more and more fascinated by the complex astrological system she relied upon for the better part of a century. Today, most everyone who plants a garden does so as a mere hobby or at the very most in an effort to supplement their grocery store purchases; however, 150 years ago, a successful garden was often the difference between surviving the winter and starving to death. As a result, the folks “back in the day” took a far more serious approach to planting and the moon’s phases helped to serve as a guide to improve their chances of a successful garden. In its simplest of forms, “planting by the signs” means that you plant crops that will produce their fruits above the ground during the waxing moon (the time between a new moon and a full moon — when the moon is getting bigger), while plants that produce their crop below the ground must be planted during a waning moon (the time between a full moon and a new moon — when the moon is shrinking). Old timers lived by these signs for centuries, but the one question remains: is there any science to back up their traditions? And that’s the million dollar question! 25 years ago, the New York Times set out to determine if planting by the full moon was a bright idea or lunacy; unfortunately, they were not able to reach any definitive conclusion. Regardless of whether you’re a believer or not, chances are the folks in your family tree religiously planted by the signs only a few generations ago. My grandparents planted by the phases of the moon. 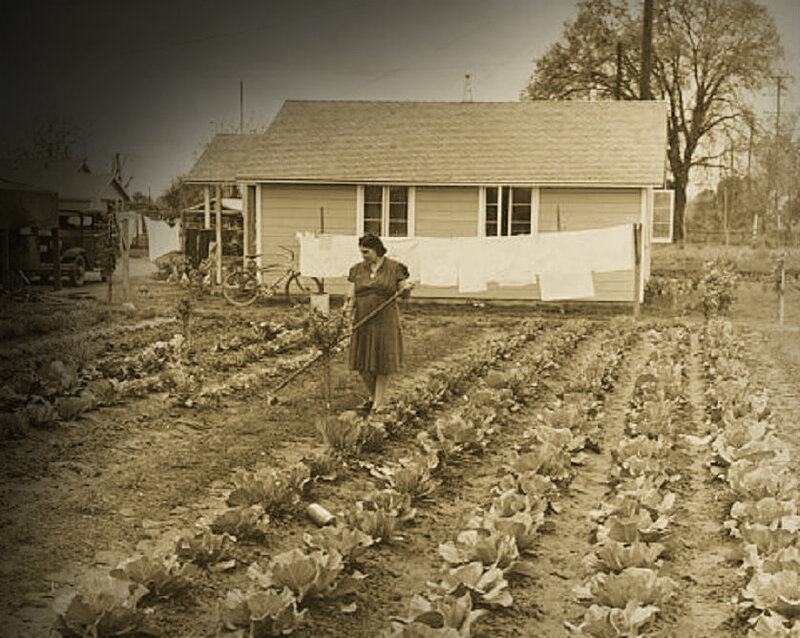 They had two acres of garden that produced bumper crops. I fully agree with this. My grandmother has a moon chart that shows the phases of the moon and when it is best for tilling, planting even pruning! i would love to send a picture. I would love to have a copy of that! Wish you would have included a chart for the times gone by of planting by the signs. Buy an Almanac at the grocery store, where they sell the magazines. All almanacs still have planting by the signs pages. I plant my garlic during the waning moon to honor my mom and grandparents. I’m not sure whether it does any better or not. While at the community garden, I noticed my garlic was overshadowed by the director’s who never weeded and didn’t use astrology and was so stumped for so long until she admitted she only grew elephant garlic?! Some calendars also print the schedules of when and what to plant and plow according to the moon phases and horoscopes. My brother in law, use to call me and ask “what’s next” on my calendars. We both had great gardens! I still do this, I was taught to plant by the signs in my early years. I’m 47 and always have a beautiful garden when others don’t, even while they dismiss my gardening as old wives’ tales. But my daughter always calls me before she does any type of planting, just to check, that she isn’t planting or transplanting in a barren sign. Mowing and weeding on barren days lasts for weeks. If you aren’t a believer you should try it before you “knock” it! Barren in this context means that the weeds don’t grow back as quickly if you cut them or uproot them during this timeframe. My momma cut her hair by the same sign too. All my growing up years she swore by it. My neighbor, an 80+ disabled coal miner always used the signs and showed me with an almanac, the relationship to the picture of the human body in the almanac. He also proved to me via an experiement, what would happen if you planted root crops when the signs were in the upper part of the body..indeed, they didn’t grow well and deeply. He didn’t know diddly about astronomy, but he knew which signs were good for the different types of crops. I am a believer.